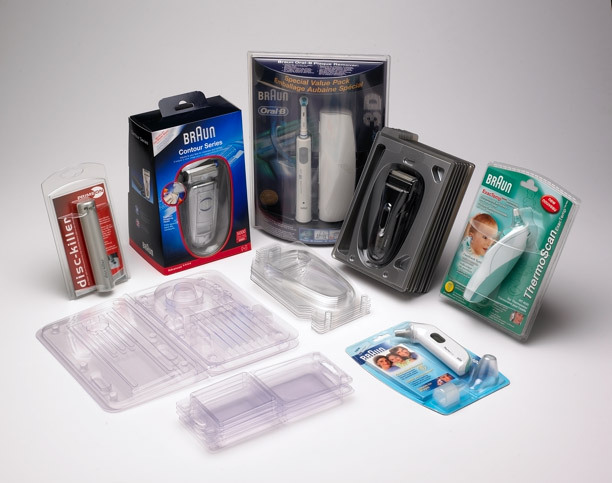 Blister packaging is the most frequently used plastic packaging in the consumer goods area. 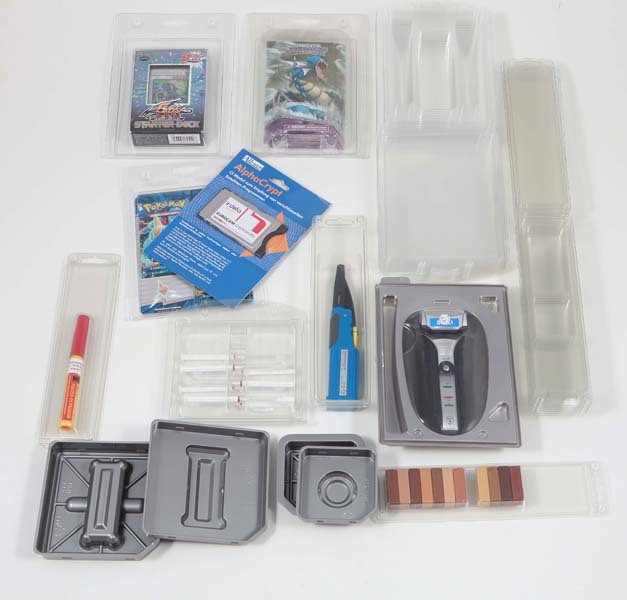 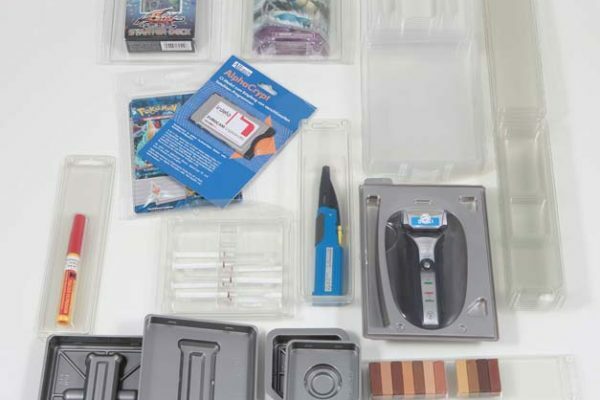 These transparent packaging variants we produce as blister lids with evenly circumferential cutting edge for sealing on coated blister cards and as push blister lids with cutting edges for inserting an uncoated blister card. 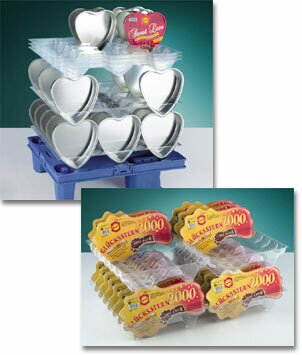 As an alternative, our transparent folding packages offer a very simple and flexible handling. 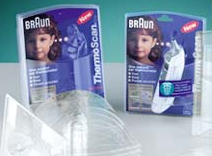 At the same time, optimum product protection during transport and sale is ensured. 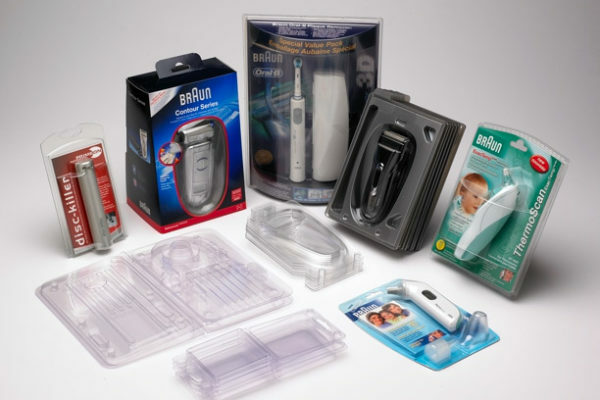 Furthermore, the packaged product remains visible from all sides and the plastic packaging can be used several times by the consumer, because we use clip cams and an integrated hinge. For your special products, we design individual candies packaging, chocolate packaging, pastry inserts and other sweet packaging. 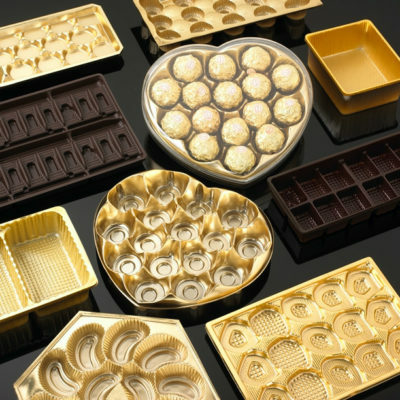 As materials, above all we use PET, PS, PVC, PP and PLA, which are available in many gold and silver tones and in all RAL and pantone colourings. 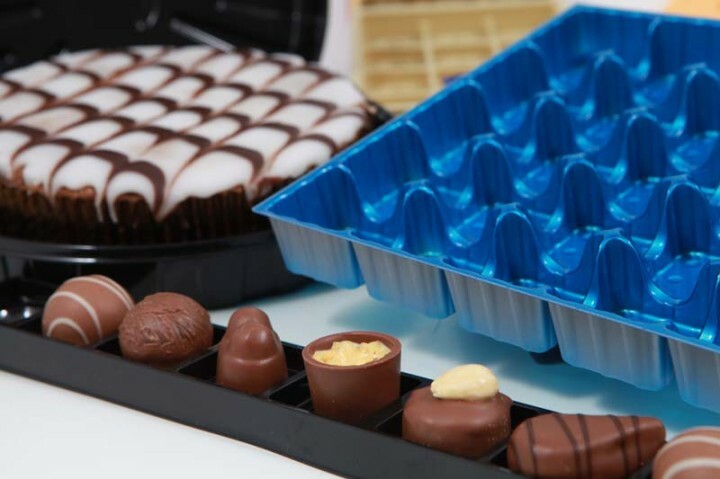 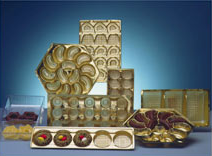 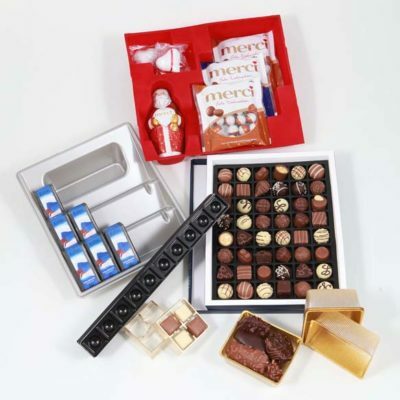 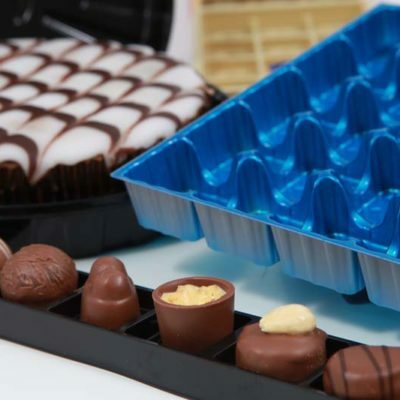 In this area, we offer numerous sweets inserts and food packaging also in standard design. 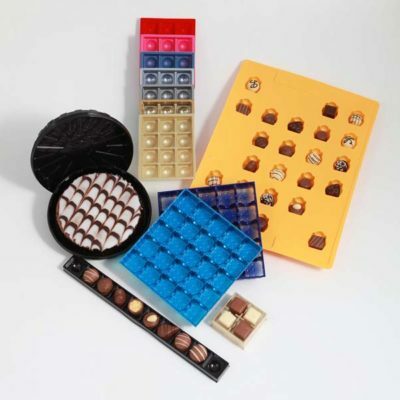 Furthermore, we also offer different thermoform inserts for various sizes of advent calendars. 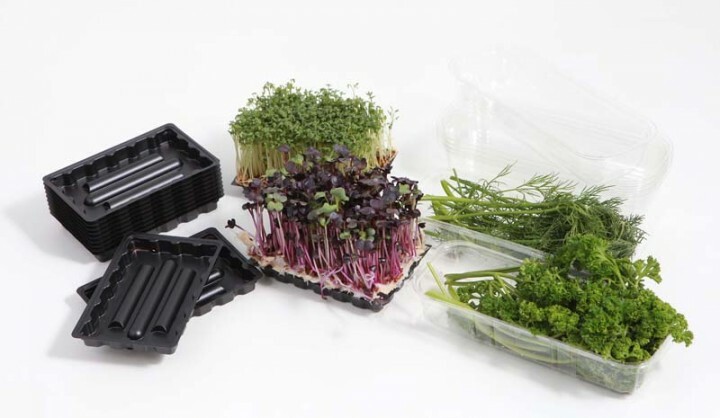 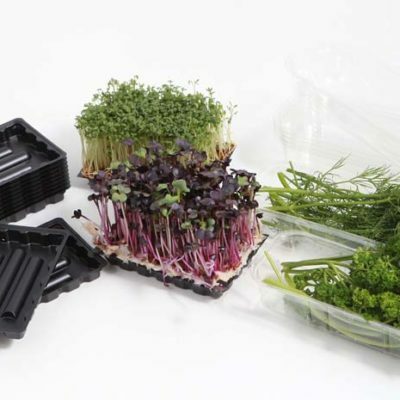 In particular, in the area of food packaging for gardening needs and landscaping, we produce thermoformed plant bowls, herb cups and other plastic cups in various sizes, which are also available in standard versions. 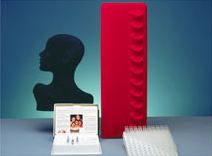 Regardless of the sector and industry, we develop and produce displays for the various products from the cosmetics and jewellery area, the pharmaceuticals and medicine sector and the food and consumer goods industries. 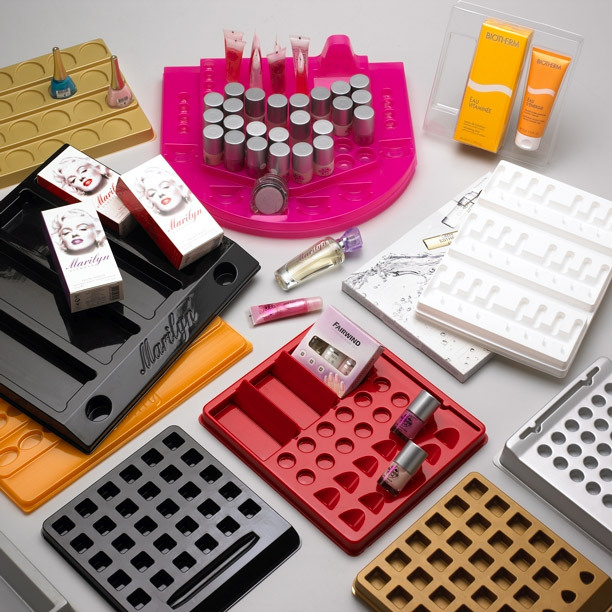 The representation task is not only taken into account by the design of the appearance, but also by a sophisticated functionality as regards the products to be displayed. 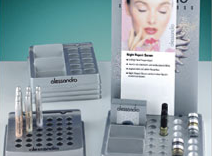 The plastic displays can be applied with shaped back card holders, with stopped transparent frames or with colour prints.